As explained by Senior Airman Rachel Loftis, 99th Air Base Wing Public Affairs in the article “Capt. 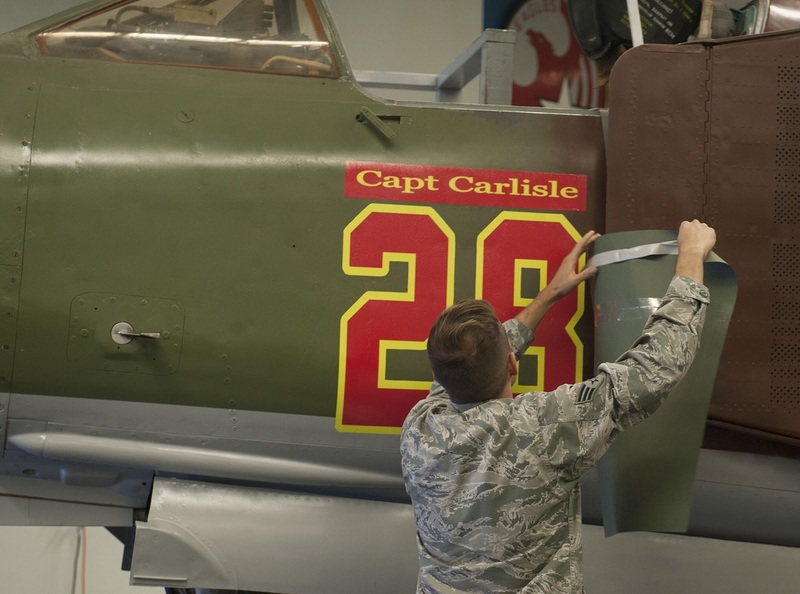 Carlisle” unveiled: MiG-23 dedicated to ACC Commander, on Oct. 17, 2016 the U.S. Air Force (USAF) personnel has unveiled a Russian MiG-23 (NATO reporting name Flogger) fighter aircraft nicknamed “Captain Carlisle” which was dedicated in honor of Gen. Hawk Carlisle, commander of Air Combat Command (ACC) during a ceremony at the Threat Training Facility on Nellis Air Force Base (AFB), Nev..
After Weeks’ speech the official dedication portion of the ceremony followed with the unveiling of the nicknamed “Captain Carlisle” MiG-23. Carlisle then took to the podium for brief remarks praising the legacy of CONSTANT PEG. An Airman reveals the nickname of a MiG-23 during a dedication ceremony at the Threat Training Facility on Nellis Air Force Base, Nev., Oct. 17. The MiG-23 was dedicated to Gen. “Hawk” Carlisle, commander of Air Combat Command, in recognition of his time as the Chief of Weapons and Tactics and Flight Commander for the 4477th Test and Evaluation Squadron from 1986 to 1988. 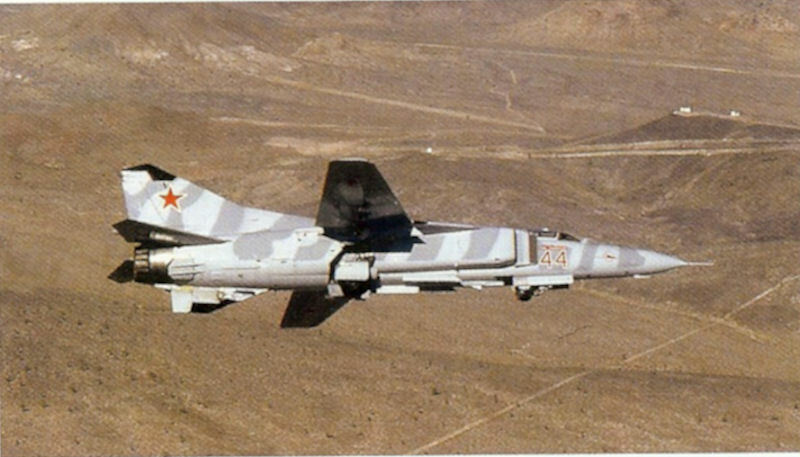 The mach-2 capable MiG-23 Flogger was one of the most-produced and capable Soviet aircraft of the Cold War. It was the first Soviet aircraft to feature variable sweep wings and paved the way for the equally capable MiG-27 Flogger ground strike variant.